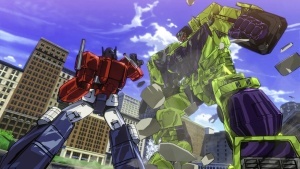 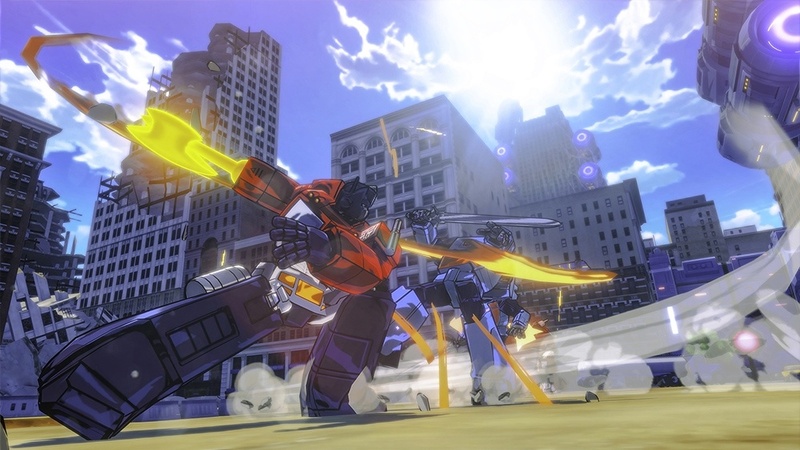 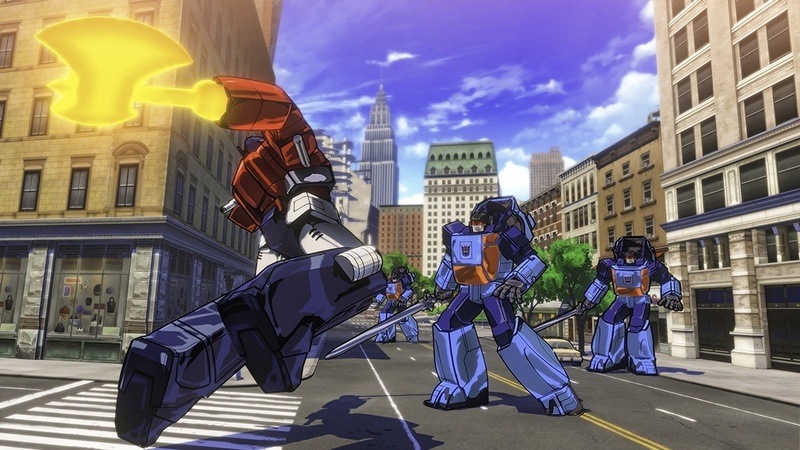 The first images from Platinum Games’ cel-shaded brawler Transformers: Devastation game has leaked online ahead of its official E3 reveal. Check out the screenshots below. 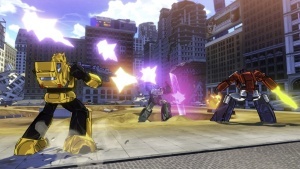 The main narrative premise of the game has the Autobots take on the Decepticons when Megatron finds a way to collect the huge power of plasma energy to cyberform the Earth. 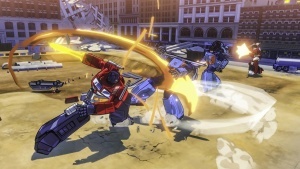 The game will feature five playable Autobots in the form of Optimus Prime, Bumblebee, Sideswipe, Wheeljack, and Grimlock. 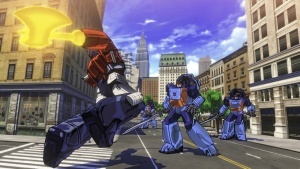 Fans will also be happy to hear that the English voice cast from the original TV series will be returning, with the likes of Peter Cullen (Optimus Prime), Dan Gilvezan (Bubblebee) and Frank Welker (Megatron and Soundwave) among others. In addition to all this there will be five difficulty levels and a customization setup, though the latter sounds a bit out of place as the Transformers are more robots than pilotable mecha. 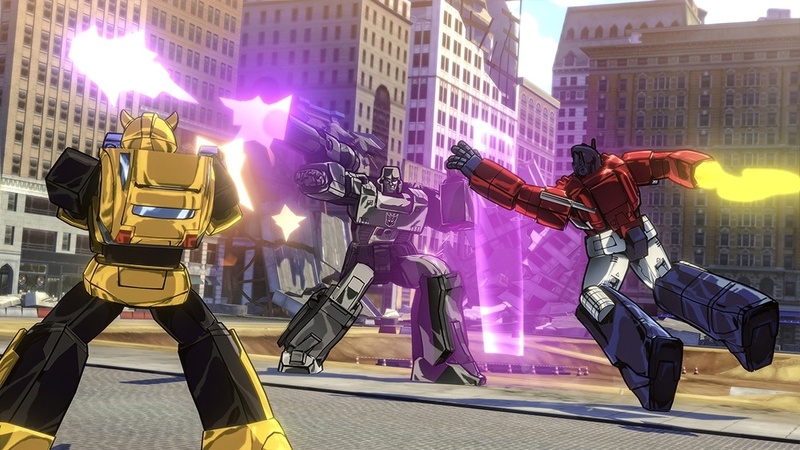 Developed by Platinum Games and published by Activision, Transformers: Devastation is coming to PlayStation and Xbox platforms. 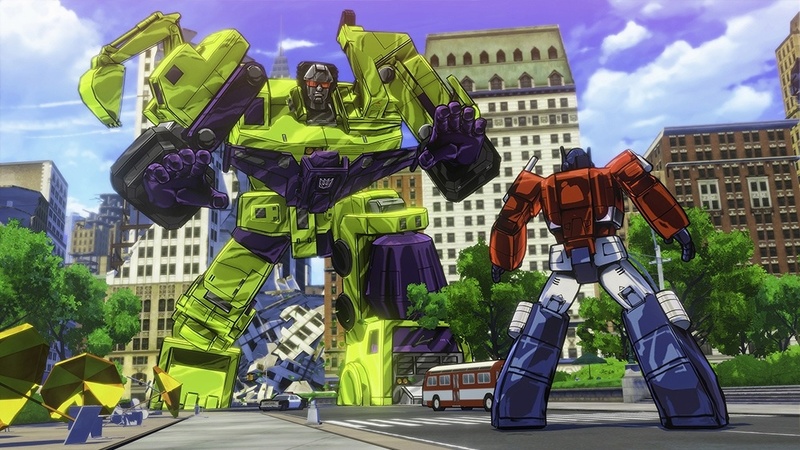 Get their full overview of Transformers: Devastation below. 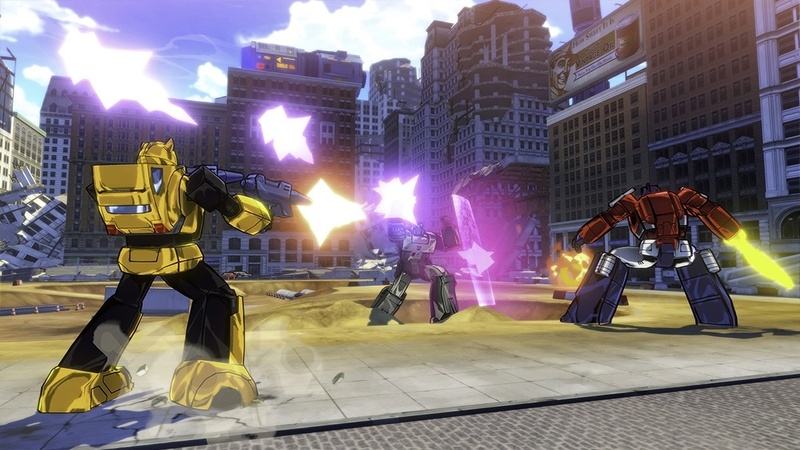 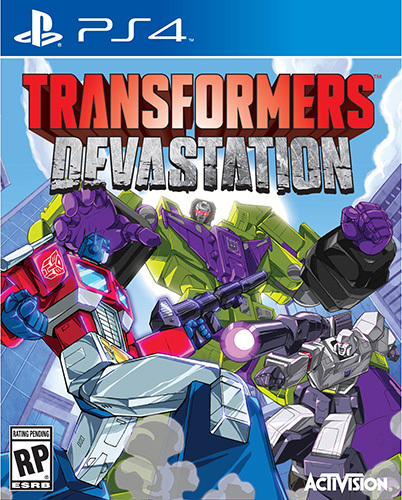 Face off against Megatron and battle it out with the Decepticons in Transformers Devastation. 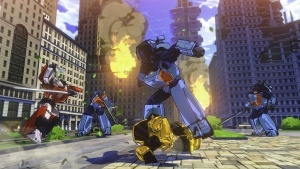 Equipped with fast action capabilities, this game allows for instant robot to vehicle attacks, slam downs, counterattacks, and infinite combos for a unique master combat system. 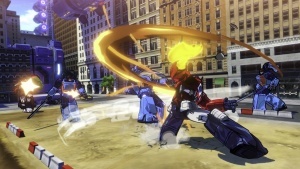 Five difficulty levels also deliver hours of intense gameplay.